Sorry about the lateness of this post, very little time but I wanted to put something together for the election this weekend (Yes, there is an election this weekend). Some readers of this blog are almost certainly familiar with the Consolation Game. In many single-elimination tournaments determined by brackets, the losers of the semi-final matches are pitted against each other to determine the 3rd place finisher while the winners of the semi-final round duke it out for 1st and 2nd place. As one can imagine, the only people that generally attend or participate in the Consolation Games are those that have a stake in one or the other teams involved. After all, who really cares about 3rd place? The upcoming election this Saturday, November 19th feels like a consolation election to me. In other words, no one really cares (or at least only small, focused interest groups care) about the election. The Louisiana Secretary of State’s office is already reporting that early voting has been extremely light, which doesn’t generally point to a great turnout come election day. When large numbers of people don’t turn out for election day, it usually becomes an entertaining battle featuring small, focused groups dedicated to certain candidates and/or special interests facing off against one another. So what’s on the ballot? It all depends on where you live. There are several runoff elections throughout the Baton Rouge area, most for State office with a small number of local election runoffs depending on your Parish of residence. I’m not going to go over the multiple candidate races, but feel free to do your own research. I try to stay out of candidate elections due to the massive amount of uncertainty about whether a candidate will actually stick with their campaign promises. People are people. In a statewide context, one reason why this is likely to be a low-turnout election is because many precincts in the State only have one item on the ballot. That item is a Constitutional Amendment creating a prohibition against the creation of any new Real Estate Transfer Tax (RETT) in the State. I’ll get to the amendment in a second, but I’d like to know why this amendment couldn’t have been voted on last month with the OTHER five amendments? That, my friends, is a waste of time and your tax dollars. Seriously, only looking at FOUR parishes, the Shreveport Times figured out the state could have saved over $150,000 by holding the election in October as opposed to November. No telling how much more could have been saved statewide. Let’s cut to the chase: the only reason this amendment is being voted on now rather than a month ago is because this election was anticipated to have a lower turnout. It’s a lot easier for a special interest (in this case, the Louisiana Realtor’s Association) to have a greater impact on the final vote if a small number of people show up at the polls. Once again, political maneuvering costs taxpayer money. Turning to the merits of the amendment… why do we need this? Essentially, the amendment prohibits the State or any parish or city from levying a tax or fee on the sale or transfer of immovable property (i.e. real estate). Currently, New Orleans is the only city in Louisiana that collects a fee for this type of transaction ($325). As far as I know, no other parish or city has even considered this option, other than an aborted effort by Livingston Parish a few years ago (it ended in disaster and the LP had to refund anyone who paid it). The proponents for the amendment have indicated they see it as a preventative measure. Um, OK. Even though there has been no indication that anyone really wants to pursue a fee/tax like this (particularly considering the Livingston Parish boondoggle) and considering the current anti-tax disposition of the voting public, this amendment is needed now? 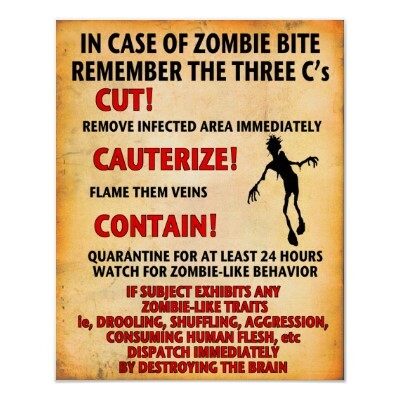 If that’s the case, I think we need to start putting up posters about what to do in the event of a zombie outbreak, since that seems more likely to happen right now than a RETT passing anywhere in Louisiana. Unless someone can come up with a better reason than “Because I don’t want to pay it” for not adding what is essentially a sales tax to a real estate transaction, I don’t see any reason to prohibit RETTs through the Louisiana Constitution. Some proponents claim RETTs are basically double taxation, but that’s a pretty lame excuse. When you buy a car, you pay sales tax based on the price of the vehicle. After that, you pay periodic fees to register the vehicle and insure it passes safety and emissions standards. This would be basically that, but in reverse, since you pay property taxes based on the value of your house periodically and a RETT (at least the New Orleans one) is a flat fee regardless of sale price. Other opponents claim that RETTs will stifle the real estate market. Seriously? The real estate market in New Orleans, the only place in Louisiana that has an active RETT, apparently survived it. Why can’t other locations in the State if a RETT ever comes up? On top of that, about 75% of the states in the US have RETTs on the book either statewide or at the local level. People are still moving, real estate folks are still making money. I don’t know who comes up with these arguments. In the end, the proponents of the Real Estate Transfer Tax amendment have elicited two eye rolls from me. Once by pushing for the placement of the amendment on the runoff ballot, thereby requiring the entire state to participate in this election and wasting taxpayer money which could be used for other purposes. Twice by putting forward this absolutely unnecessary amendment that is addressing something that isn’t even remotely an issue. Sadly, I’d put money on this amendment passing since the amendment proponents have dumped a decent amount of money into this race and have a pretty widespread, built-in support network in the form of every single person who holds a real estate license (at least according to my Facebook page). The only organized opposition would likely be something based in government or budget watchdog groups, neither of which are well funded. As for me, I’m voting NO. The amendment is unnecessary and I think a message needs to be sent about special interest groups engaging in electoral shenanigans to gain a favorable advantage that unnecessarily expend taxpayer dollars.